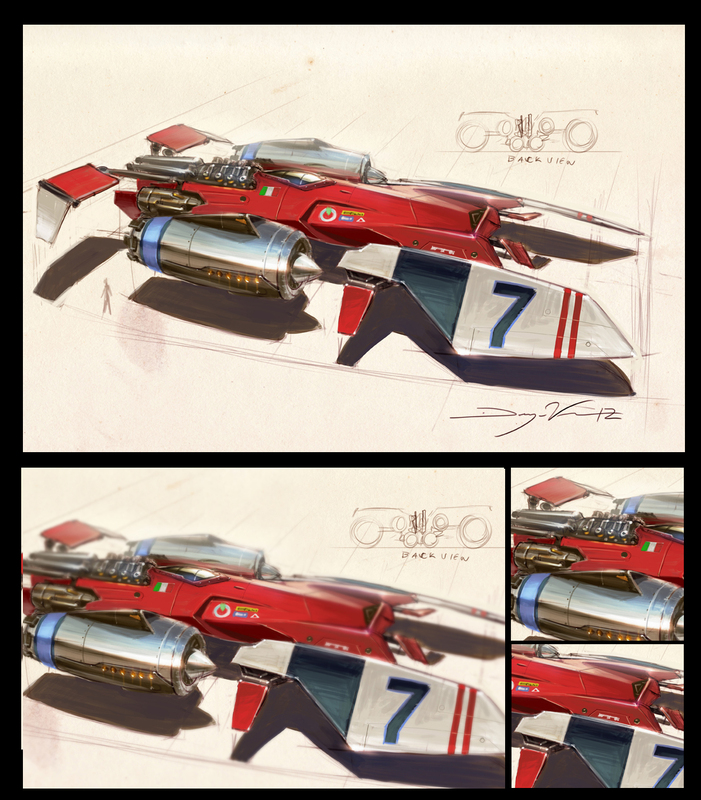 Here is a video demo for the one of the racing spaceships I did a little while back. If you want to see the steps that led up to the point I start the video at please see Comic Con Ship 3 post. So I explain my digital painting process as I go through and finish up the details on my final spaceship design. I talk about rendering different materials and different brushes I use to finish up the spaceship design. I also mention a couple of artist in my demo so I wanted to provide the links to go and check out their stuff. One of the artist is Sycra and you can find his work at www.sycra.net, He has several great tutorials about color and character stuff. Then the other artist I mention is Sinix and you can find his you tube channel at http://www.youtube.com/user/sinixdesign/videos. He has some great design tutorials from robots to character work. So please feel free to ask any questions about my process and I will get back to you. Thanks again for stopping by. Man it’s just awesome! Thank You for all educating stuff that You do!